Best answer: Amazon is your best choice when it comes to buying a new AMD Ryzen Threadripper 2920X processor. Besides Amazon Prime, which provides you with a ton of shipping features, you can also find some of the best deals around. A reason many use Amazon to buy numerous products is that the online retail giant has a massive global reach. Most of the major locations are covered with the same storefront, allowing consumers to purchase what they want, even if it’s not available from local retailers in their location. Many items can be shipped internationally from Amazon’s main U.S. warehouses or within territories such as Europe. Shipping costs usually include any expected customs fees, but Amazon does refund the difference if it overestimates just how much is needed. That’s well and all, but the best reason to use Amazon is Amazon Prime. One of the perks is free shipping, which depending on your location can really help take some of the total cost down if you’re a member. It’s also usually free next-day shipping. If you’re not a member, everyone can get a 30-day free trial, so you could still benefit from a great price and free shipping if you’re looking to buy an AMD Ryzen Threadripper 2920X. It’s worth remembering that Threadripper CPUs aren’t like your normal Ryzen desktop-class processors. They’re extremely powerful, hungry for electricity, and require a different socket to AM4. Threadripper CPUs are also compatible with motherboards with a TR4 socket. A Threadripper and Ryzen 3, 5, and 7 CPUs do not share the same dimensions either. Attempting to install a Threadripper processor into an AM4 socket would leave you feeling a little silly since it won’t even fit. Get it right the first time and pick up a TR4 motherboard. One such as this MSI Pro would do nicely. 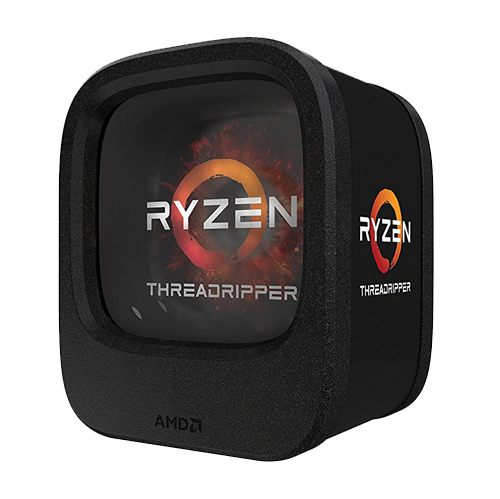 Ryzen Threadripper is the range-topping family of CPUs from AMD. The 2920X is the entry processor and most affordable of the bunch, but don’t let that fool you into assuming it’s sluggish and doesn’t cost much.